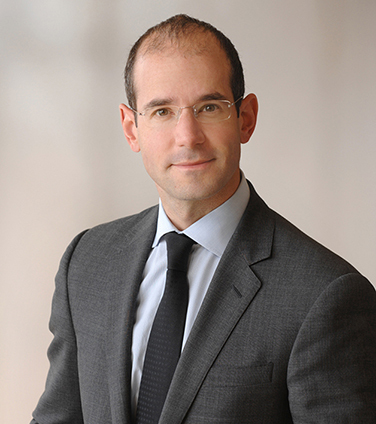 Emmanuel (Manny) Pressman is Chair of the Corporate Department and former Head of the M&A Group. He represents public and private companies, private equity sponsors, special committees, boards, and financial advisers involved in take-over bids, proxy contests, joint ventures, negotiated and contested mergers and acquisitions, and a range of corporate transactions and restructurings. His clients have included Constellation Brands, Magna International, Blackstone, TPG Capital, KingSett Capital, Vector Capital, Fairfax Financial, Walter Energy, The ADT Corporation, and Shoppers Drug Mart. Manny is repeatedly recognized as a leading M&A practitioner including by Who’s Who Legal (M&A, Corporate Governance); Chambers Global: The World’s Leading Lawyers for Business (Corporate/M&A); The Lexpert/AmLaw Guide to the Leading 500 Lawyers in Canada (Corporate/M&A); The Legal 500 (Corporate/M&A); The Best Lawyers in Canada (M&A); and The Canadian Legal Lexpert Directory (M&A, Corporate Finance, Corporate Mid-Market). He is a frequent speaker at conferences relating to mergers and acquisitions, and has guest lectured at the McGill University Faculty of Law, the University of Toronto Faculty of Law, and the IBA Mergers & Acquisitions Conference in New York; and is the co-author of the Canada chapter of the International Mergers & Acquisitions Review for the past 10 years. Among his community involvement, Manny currently serves on the Board of the Holland Bloorview Kids Rehabilitation Hospital Foundation. Constellation Brands in connection with Canopy Growth’s right to acquire Acreage Holdings. Constellation Brands in its $5 billion strategic and transformative investment in Canopy Growth. Special Committee of Lithium Americas in its joint venture with Ganfeng Lithium. South32 in its $2.1 billion acquisition of Arizona Mining. Blackstone Property Partners in its $3.8 billion acquisition of Pure Industrial Real Estate Trust. Constellation Brands in its initial strategic investment in Canopy Growth Corporation. Vector Capital in its sale of 20-20 Technologies to Golden Gate Capital. Canadian counsel to WS Atkins plc in its $3.6 billion acquisition by SNC-Lavalin. Constellation Brands in the $1.03 billion sale of its Canadian wine business to Ontario Teachers’ Pension Plan. Canadian counsel to Asciano Ltd. in the $12 billion acquisition by the Qube Consortium and the Brookfield Consortium. Special Committee of the Board of Directors of Fairfax Financial in its dual class share capital reorganization. Special Committee of the Board of Directors of Lithium Americas in its all-stock merger with Western Lithium. The ADT Corporation in its $555 million acquisition of Reliance Protectron from Alinda Capital. Shoppers Drug Mart in its $12.4 billion acquisition by Loblaw Companies Limited. KingSett Capital in the negotiated resolution of the proxy contest involving InnVest REIT. Smoothwater Capital in its proxy contest with Genesis Land Development Corp. and in the ultimate settlement of that contest. KingSett Capital in its take-over bid for Primaris Retail REIT and, ultimately, $5.0 billion friendly plan of arrangement with H&R REIT and Primaris. Vector Capital in its acquisition of 20-20 Technologies Inc. Shoppers Drug Mart in its acquisition of Paragon Pharmacies. Special Committee of the Board of Directors of Lakeside Steel in its sale to JMC Steel. Magna International in its dual class share capital reorganization. United Natural Foods in its acquisition of the SunOpta distribution group. Vector Capital in its take-over bid to privatize Corel Corporation. Magna International in its US$1.5 billion private placement to OJSC Russian Machines and substantial stock buy-back by way of Dutch auction. Magna Entertainment in its proposed restructuring transactions with its controlling shareholder, MI Developments (pre and post Chapter 11 filings under the U.S. Bankruptcy Code). Special Committee of the Board of Directors of Four Seasons Hotels in the US$3.7 billion going private transaction by Kingdom Hotels and Cascade Investment (investment arm of Bill Gates). INCO in its contested take-over bid for Falconbridge and its responses to the bids made for it by Teck Resources and Vale. Fraser Francis Ltd. in its $436 million sale of Trader Media Corp. to Yellow Pages Group. Magna International in its $1.2 billion going private transactions of its publicly traded subsidiaries, Tesma, Decoma and Intier Automotive. Eimskip in its $1.2 billion take-over bid for Versacold Income Fund. Moore Wallace Inc. in its US$2.8 billion business combination with R.R. Donnelley & Sons. Banca Intesa S.p.A. in its auction and sale of Intesa Bank Canada to HSBC Bank Canada. E.I. duPont in its $1.5 billion privatization of Dupont Canada Inc. The Mergers & Acquisitions Review: Canada, 2nd, 3rd, 4th, 5th, 6th, 7th, 8th and 9th Editions. The International Comparative Legal Guide to: Mergers & Acquisitions 2014, Canada chapter (this article first appeared in the eighth edition of The International Comparative Legal Guide to: Mergers & Acquisitions; published by Global Legal Group Ltd, London, www.iclg.co.uk). Developments in Canadian Poison Pill Jurisprudence, Osler Capital Markets Review, January 2012. Key Lessons from the Magna Decision, Osler Corporate Review, September 2012. The OSC’s Recent Decision in MI Developments Inc. Highlights Related Party Transaction Rules For Public Companies in Canada, Osler Corporate Review, March 2010. New TSX Rule Mandating Buy-Side Shareholder Vote in Dilutive Public Company Acquisitions Takes Effect Today, Osler Update, November 24, 2009. TSX Amends Financial Hardship Exemption from Securityholder Approval Requirements, Osler Corporate Review, October 1, 2009. The OSC Decision in Neo Material Technologies Inc.: A Significant Change in the Treatment of Poison Pills in Canada, Osler Update, September 21, 2009. Profound Energy Decision Highlights Use of Private Placements in M&A Transactions, Osler Update, August 17, 2009. A Canadian Understanding of Directors’ Duties, The Globe and Mail, January 6, 2009 (co-authored with Jeremy Fraiberg).